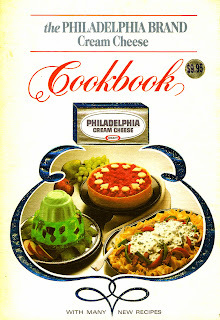 We are going to be doing cream cheese recipes this coming week and I got out my copy of The Philadelphia Brand Cream Cheese cookbook printed in 1987. The 1987 printing was the 12th printing so this was quite popular. The first printing was 1981. In the introduction there are a few facts such as, Cream Cheese is a truly American Cheese. That in 1880 a local farmer began making cream cheese for his family's use. It became so popular in the area that another cheese maker contracted to distribute the special cheese under the trademark “Philadelphia Brand”. 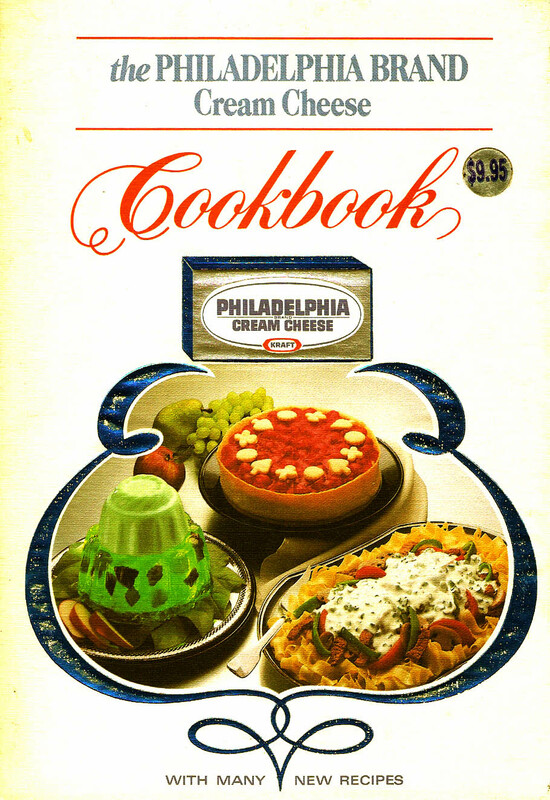 Philly cheese became a Kraft cheese in 1928 through a merger with Kraft and the Phenix Cheese Company. Originally “Philly Cheese” was used as a spread for bread, toast and crackers or as a sandwich filling. It was not until the mid 1920’s that cream cheese was used as an ingredient in recipes. One of the first recipes developed was “Kraft Philadelphia Cream Cake” that was later retitled Supreme Cheesecake. Now days it would be hard to think of not having cream cheese to use. We use it in so many ways, From appetizers to desserts. Sauces to salads. It is quite popular in other countries but still remains a truly American Cheese. We hope you enjoy these dishes as much as we do.